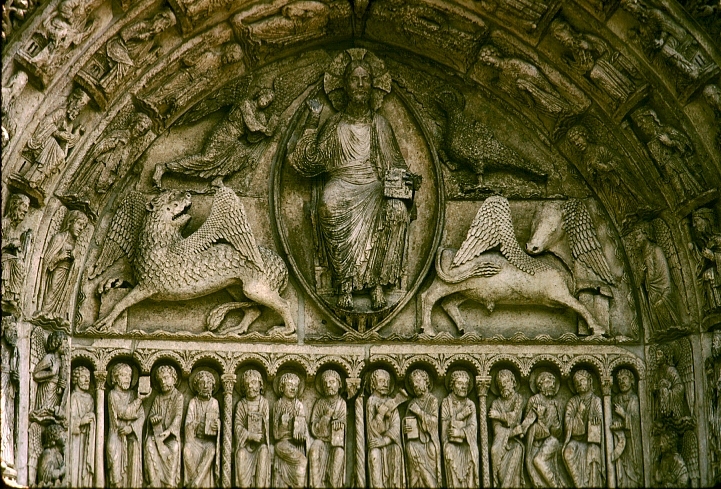 The four beasts surrounding Jesus in this sculpture are a lion, a calf, a man, and an eagle (there’s no coincidence that these are similar to the four creatures which represent the four Gospels, though these are taken specifically from Revelation 4). Often, Jesus is depicted above the main doors of a church in a triumphant, end-of-time, sitting-in-judgment situation, as the artisans want to communicate that when you enter the church, going through the doors underneath the sculpture, you’re moving into a different kind of time and a different kind of space. If you passed under this reminder of Christ’s triumph and the end of time every day (or at least every Sunday), how might you look at life differently? 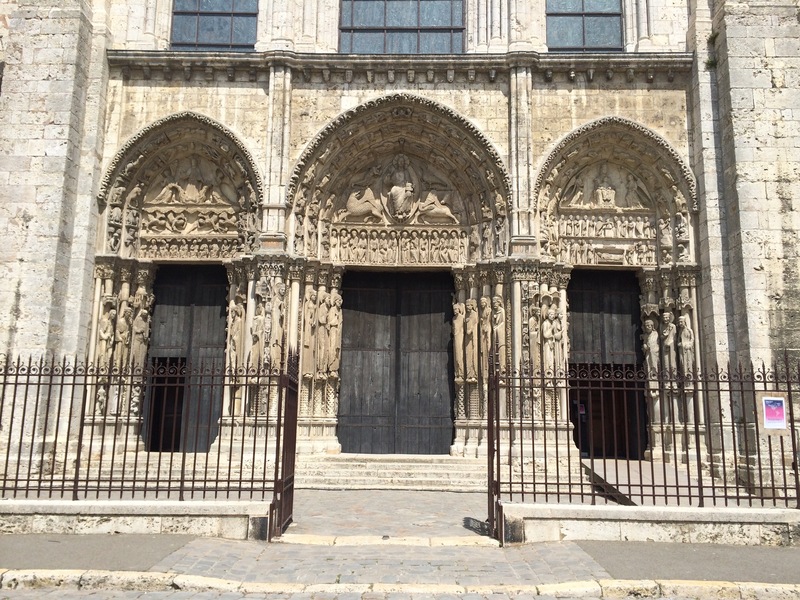 This entry was posted in art, Friday Icon, Jesus, Travel and tagged architecture, art, Chartres Cathedral, Friday Icon, Gothic Architecture, Jesus, judgment by Emily. Bookmark the permalink. Thank you for this post. More after some contemplation. PS. These offerings are very much appreciated and are one of the high points of my week.